Top sales performers are always looking to achieve greater success, with more wealth, perks and power. They will be paying close attention to the benefits you offer, so you need to emphasize those benefits in your job postings and applicant interviews. If you think the benefits of being on your sales team aren’t competitive enough, consider adding some incentives top salespeople will be attracted to. Here are some questions to consider when pulling together a list of the benefits you have to offer. Is your company’s commission structure very generous? 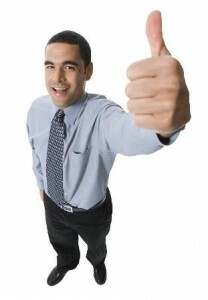 Top salesmen and saleswomen value money a great deal and you want them to. If your sales commission benefits aren’t up to par with that of your competitors, it will be tough to build one of the best sales teams in the business. If you do have a great commission structure, make that a priority mention in your job listing to attract great salespeople to your door. Is it common for top sales performers in your company to succeed quickly? Excellent salespeople want accolades and advancement opportunities. They work harder when recognition and rewards come fast. If that’s a benefit of working on your sales team, you’ve got a definite edge over your competitors who might offer slower career advancement. Do you usually promote from within? Play up the benefit of employee loyalty if your company typically promotes from within. You’ll attract salespeople who will want to stick with you for the long-term. Is your business locally-owned and based? Sometimes a locally-owned business has advantages over corporations. Brainstorm what you think your locally-owned benefits are over your larger competitors and proudly boast about them. Something as simple as family-oriented employee events hosted by your business can attract salespeople who have spouses and children. Does your company sell something that’s hot in the marketplace right now? Excite potential sales hires about the popular products or services they would be selling for you. If what your company sells isn’t a hot product, could it be considered a better alternative to a fad? Think of creative ways to sell your products to your salespeople and they’ll want to sell them for you. Is your company considered a recognized industry leader in their field? Use quotes from reputable publications and other sources when making this claim, for validity. A great reputation for being an industry leader certainly attracts better applicants, so make this detail prominent in your job listings. Does your company offer additional health benefits, like vision insurance? Every extra health insurance perk is beneficial in attracting and keeping great employees. Let people you offer the job to know if services like preventative care and medications are covered on their health plans with your company. Do you provide regular free or discounted training opportunities for the sales team? Consistent trainings and courses for sales staff to enhance skills and education are vital to your company’s growth and success. If you provide the means for your employees to attend webinars, conferences, and other trainings make that clear to applicants, as well. Attracting a lot of applications for job listings you post during tough economic times might be pretty easy. However, your goal isn’t to attract a lot of applications. You want to attract the right applicants; a team of top salespeople who want to work for the company who offers great benefits and rewards for excellent sales performance.